Roulette is a staple of online casino sites and offline casinos too. 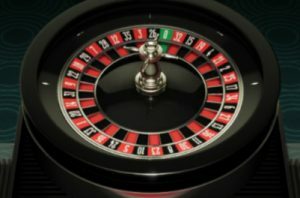 A roulette wheel is one the most iconic gaming images around, but do you know how to play roulette? Modern roulette dates back to the 19th century, but people have played versions of it since the 1600s. The name roulette, simply means ‘little wheel’ in French. The game can be as simple or as complicated as you wish to make it, depending on whether you choose to pick just one number or indulge in one of the many sidebets and betting systems. This article guides you through how to play, what the various terms mean, the tactics you can employ and more. You can play roulette in pretty much all UK casino sites. Some online casinos have more table games than others, but they will always provide roulette and blackjack, thanks to their mass appeal. To play roulette, you bet on the section of a wheel in which you think a ball will land. A European roulette wheel contains 37 sections, numbered from 0 to 36. The 0 is green and the other numbers alternate between red and black. Players place their betting chips on the board, representing where they think the ball will end up when the wheel spins. The ball enters a shelf on the spinning wheel, above the numbers, and spins round in the opposite direction to the wheel. As it slows down, it drops into the numbered sections, bouncing around until it settles in one of them. The players who chose the correct number or section of the wheel win prizes dependant on their stake and their bet type. The players who guessed incorrectly lose their stakes. An American roulette wheel contains a 00 alongside the 0. There are a large number of different bets you can place on roulette. Here are their names, what they mean and the usual payout they bring. Straight bet – Bet on the ball landing on a single specific number. Place your chip on that figure. Pays 35 times your stake. Split bet – Place your chip between two numbers and win if it lands on either. Pays 17 times your stake. Square bet – Place the chip at the point where four numbers meet and win if the ball lands on any of them. Pays 8 times your stake. Five-number line bet – Place the chip where the 0, 1, 2 and 3 meet, and win if the ball lands on one of them. Pays 6 times your stake. Line bet – Place the chip on the line above the Dozen bet, where two rows of numbers meet and win if the ball lands on any of the six of them. Pays 5 times your stake. Even-money bet – Bet on 18 numbers, which could be black/red, odd/even or 1-18/19-36. Pays an amount equal to your stake. The dealer returns your initial stake alongside the prize. Inside bets are ones made within the number grid. For example, straight bets and split bets. Outside bets are those made outside of the number grid. This could be betting on odds/evens or black/red for example. La Partage comes into play in some versions of European roulette when the ball lands on 0. It means ‘the sharing’ in French and is offered at some UK casino sites. It is often referred to as ‘Money Back Roulette’. If you make an even money bet, black/red or odds/evens, the dealer returns half your stake if the ball lands on 0. Most other versions of roulette would see this count as a complete loss and the casino would take your stake. En prison is a version of la partage, but you could take home your entire stake. Again, you must have played an even money bet and this time, if the ball lands on 00, your stake remains on the board. If you win on the next spin, you claim your stake back. If not, the casino takes the cash. Both La Partage and En Prison help to bring down the house edge and imporve your chances of winning. A bet on the 16 numbers closest to the 0 on a European roulette board. You bet nine chips or multiples of nine, with two chips on the 0-2-3 slots, one chip on the 4/7, 12/15, 18/21, 19/22 and 32/35 splits and two chips on the 25/26/28/29 corner area. Of course, betting on a single number wins you the biggest return, but the odds are very long. You can double your money with even-money bets that offer an almost 50/50 chance of success. With this in mind, you have slightly better odds of winning on European roulette than American roulette, as the latter has a 0 and a 00. If you have the choice of European or American, the smart decision is to go with European. Some roulette players opt for the Martingale system of doubling stakes after losing bets. However, this can soon run out of hand and is most certainly not a guaranteed strategy. The theory is that, by betting larger amounts on even money, almost 50/50 bets, you eventually cover your losses. For example, you lose at £1, so you bet £2 next. If you win that bet, you have £3 in winnings overall. You deduct the £1 you lost and you are £2 in profit. This is based on the idea that you should win as often as you lose, but although the odds suggest that will happen over the course of a long time, you could still feasibly lose every bet and diminish your bankroll quickly.